In the country 4G telecom service provider Reliance Gio has topped the average download speed. Geo has recorded average download 4G Speed ​​18.65 Mbps in July. In this case Bharti Airtel, the country's largest telecom company, is at fourth with the speed of 8.91 Mbps. This report was released by the Telecom Regulatory Authority of India (TRAI). TRAI has pulled this figure out of its MySpide portal. 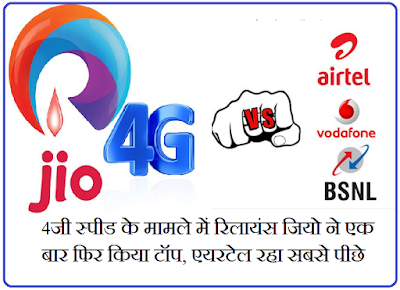 According to this report, Vodafone remained in second place. The company recorded average download speed of 11.07 Mbps. At the same time, Idea was at third place with 9.46 Mbps speed. Let us know that the average download speed is shown to the users based on the information received from the Trai sourcing on the Trai MySpid portal. If you talk about June data then the average download speed of Geo was 18.80 Mbps during that period. At the same time, this speed was recorded at 19.12 Mbps in May. Apart from this, Airtel's speed was 8.22 Mbps in June and 10.15 Mbps in May. At the same time, Vodafone's average download speed was 12.29 Mbps in June and 13.38 Mbps in May. In case of Idea, its average download speed in June was 11.68 Mbps and in May it was 13.70 Mbps. Based on the figures, Geo remains the top for the last several months. 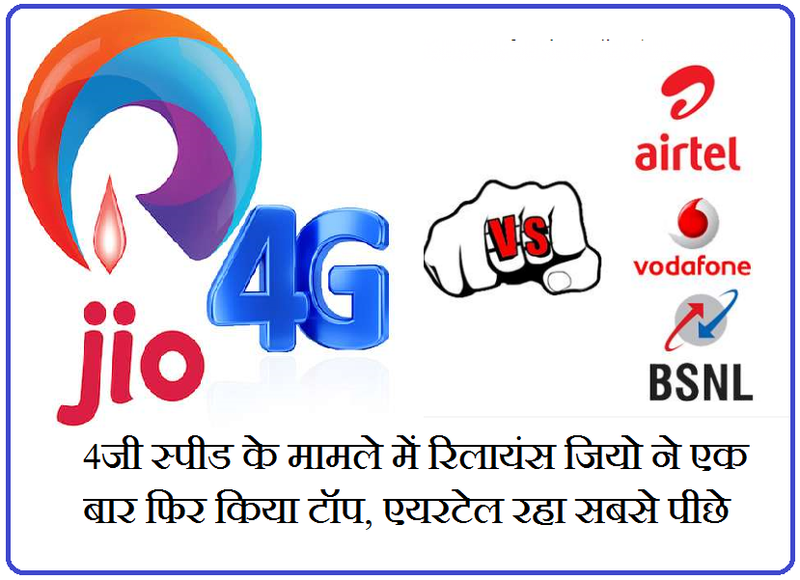 0 Response to " Reliance Jio once again topped Airtel at 4G Speed"